Control your glucose levels, stay healthy and take care of those around you. We are all concerned about the rise of type 2 diabetes in Australia. One in 12 adults now has the condition, and for the over-65s it’s closer to one in three. Even if you are not directly affected by diabetes, chances are you know someone who is. But research shows that losing just 5–10kg can totally reverse symptoms or at least significantly lower the risk of complications. The key is making simple changes to diet and lifestyle that you can enjoy and follow for life. 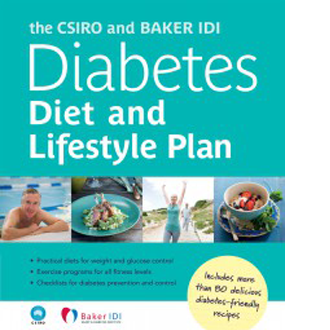 The CSIRO team that produced the bestselling Total Wellbeing Diet books has combined forces with the Baker Heart and Diabetes Institute to create this friendly manual to help you do just that. Information on how to monitor your own health, what to look for and what to avoid. Easy-to-follow plan for getting active. Tips for shopping and eating out. 12 weeks of menu plans. This book is available from all good bookstores. A full list is available via the Penguin website.